The Byron Dining Table by Daytona will bring a touch of glamour to your home interior. The base is hand-crafted from solid linden wood and upholstered in grosgrain design leather. The lower part is sculpted from steel with an on-trend brass finish. 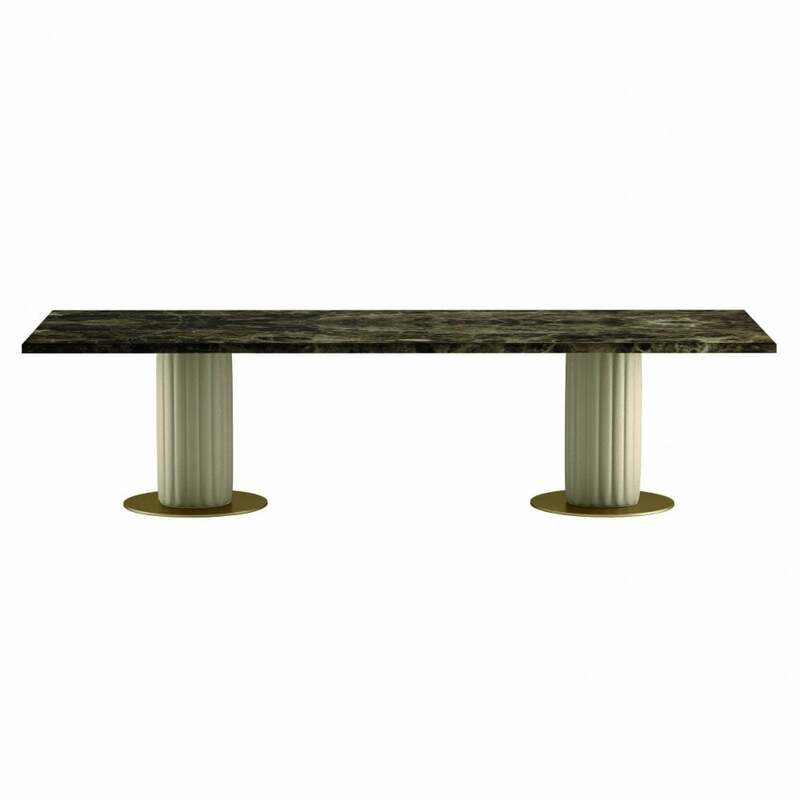 The two table legs resemble Grecian pillars which was a style made popular in the late 1920’s and 30’s. Greco Deco combined Greek and Roman traditions with fashionable Art Deco style. Paired with a emperador top, the dining table epitomises this opulent era. Available in 2 different sizes, the table shown fits eight around the table for big family gatherings and dinner parties. Get in touch with our team for bespoke options.